Big Red Machine is the joint project of Aaron Dessner (The National) and Justin Vernon (Bon Iver). The duo released four songs under their side act’s name earlier this year exclusively on PEOPLE, but Friday, the tracks were made available on major streaming platforms, including Spotify and Apple Music (see all options here). 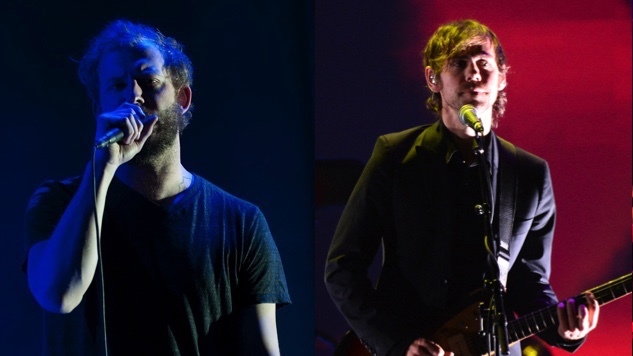 PEOPLE is the art collective and streaming platform founded by Vernon and the Dessner brothers (both Aaron and his twin Bryce, also of The National). Created with the artistic community in mind, PEOPLE is not just for sharing completed, packaged music but also gives a more intimate look into the creative process—a collage of photos from recording, stories that run alongside the music, and even a space for in-progress works, PEOPLE allows artists to give context to their music, and that’s where these four songs started. “Forest Green,” “Lyla,” “Gratitude,” “Hymnostic” and “Memories” premiered via PEOPLE at the beginning of June. They are off Big Red Machine’s forthcoming debut full-length album, which will be released in pieces over the course of the summer on PEOPLE, and it is now promising that the record will eventually be available on big streaming services, as well. Following their concept for PEOPLE as an incubator and space for all parts of the creative process, a rehearsal of “Gratitude” from July 4 is now available by Big Red Machine (listen here). The track was recorded at April Base, Vernon’s recording studio in Wisconsin. You can also look at the behind the scenes for the four original tracks on PEOPLE here. On Twitter, both The National and Bon Iver’s accounts announced that more Big Red Machine tracks are to come soon on PEOPLE. You can listen to all four tracks from Big Red Machine below and watch a performance by Vernon/Bon Iver circa 2008 further down.